There are close to 30 different textures of the "" so no doubt you'll find what you're looking for to match those new jeans you just picked up! Standard sizing makes it easy to fit perfectly to your avatar, and best of all, there are male and female versions available so everyone gets to pick something up! 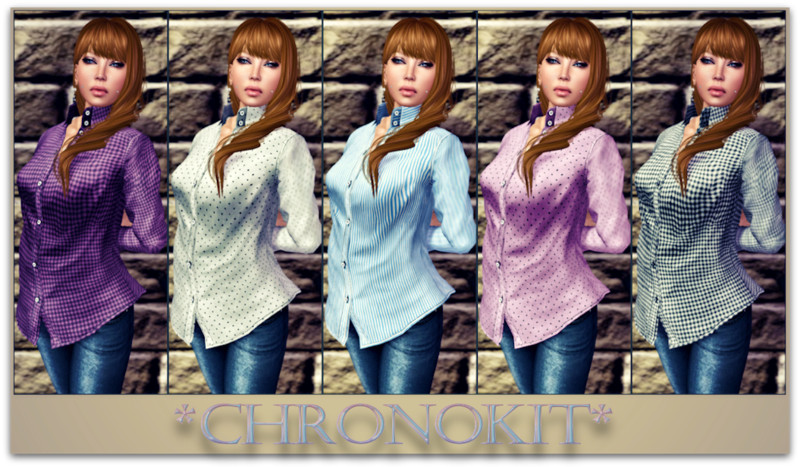 So skip to the part where I list the SLURL for the *chronokit* mainstore already!